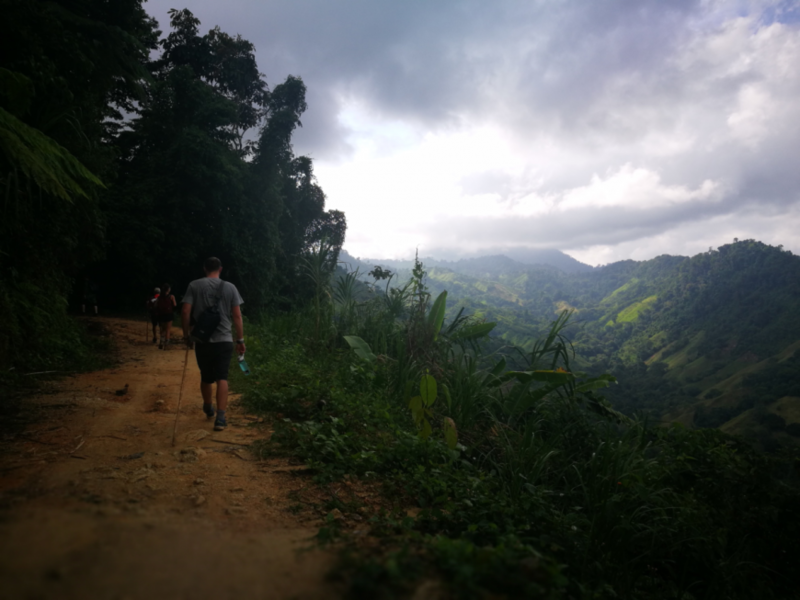 The Lost City Trek or Ciudad Perdida was something on our list before we even set foot in Colombia and as we travelled through the country and headed from Cartagena to Minca we were excited to see if we could do the Trek though our hostel – Casa Loma. 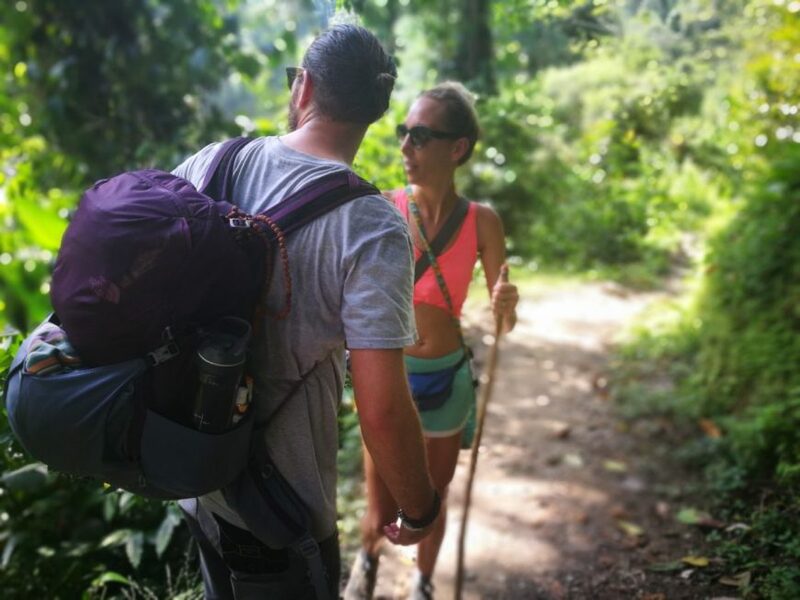 After booking the trek through the highly recommended Casa Loma we decided to opt for the 5 day instead of 4 day as we were in no rush and we wanted to enjoy as much time as possible being out in the Colombian jungle! 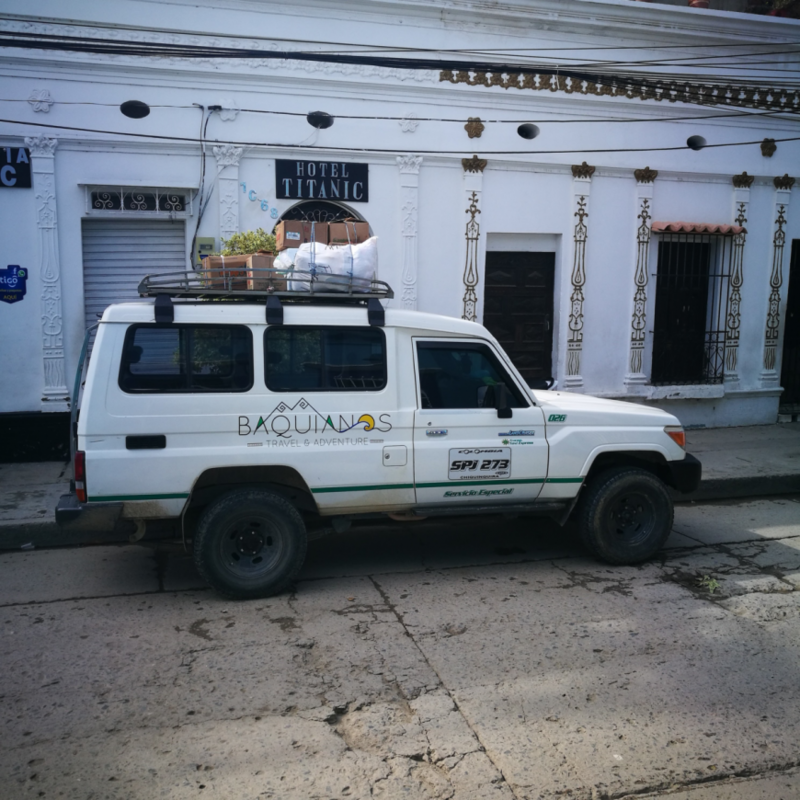 We were picked up by taxi at 7am from outside the church in Minca and driven to the Baquianos offices in Santa Marta where we paid up the 850,000 COP for the tour and loaded our things into the 4×4 to go and pick the rest of our group up. 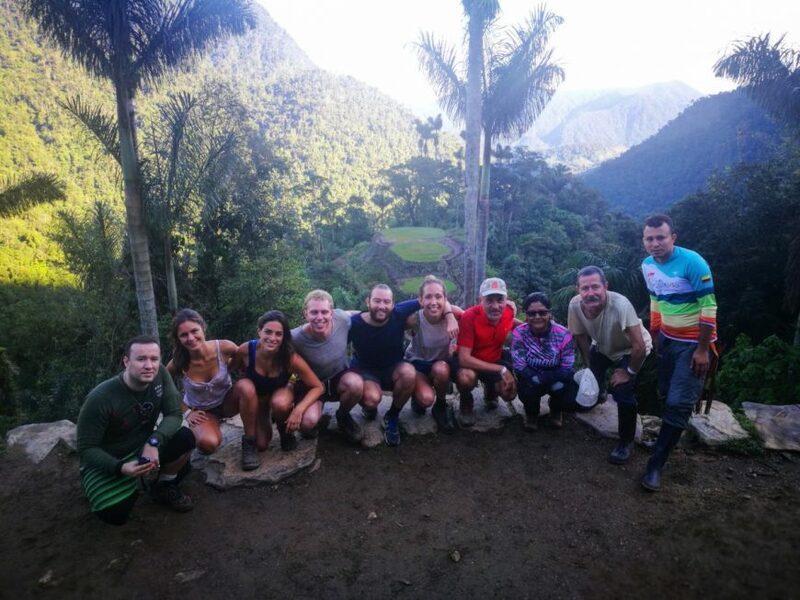 With nine of us in total we made our way out of Santa Marta and onto the Lost City Trek! Our 4x4 jeep that would take us to the Lost City! 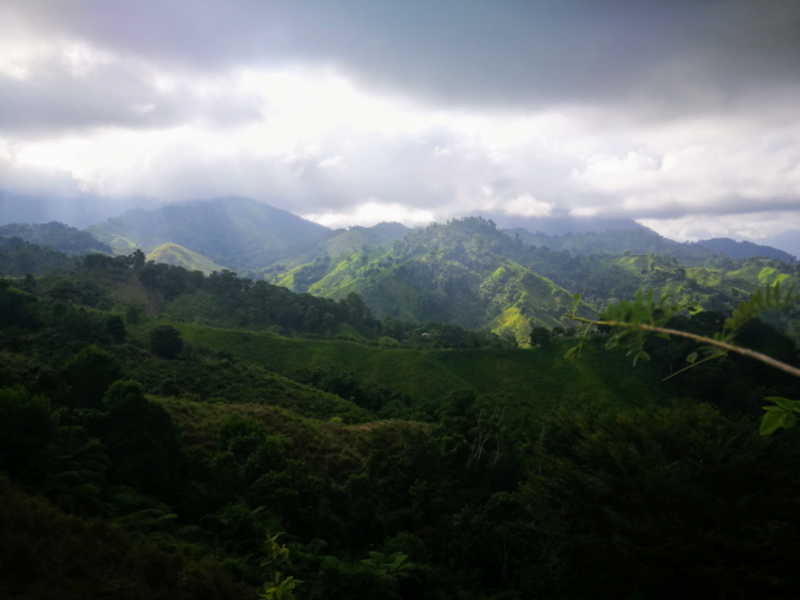 We arrived in the town of Mamey which is at the foothills of the Sierra Nevada mountain range and all sat down for a big meal before we started our trek to the Lost City. In the restaurant was a painting of a map to Lost City showing the indigenous towns and mountains along the way and what we were going to pass on on the trek. Our group before we set off in the restaurant with he map painting on the wall. The first days hike was 7km and mostly uphill to start with the scenery just getting better and better as we went. With a couple of stops on the way for me, as I really wasn’t feeling too great, we couldn’t have asked for a better group. Everyone offered me food and energy supplies to keep my strength up and our guide (Jose) was also great at keeping a close eye so although I was feeling very weak I knew I was in safe hands. A comforting thought when you are hiking uphill in temperatures over 30 degrees. First day on the way to Casa Alfredo! 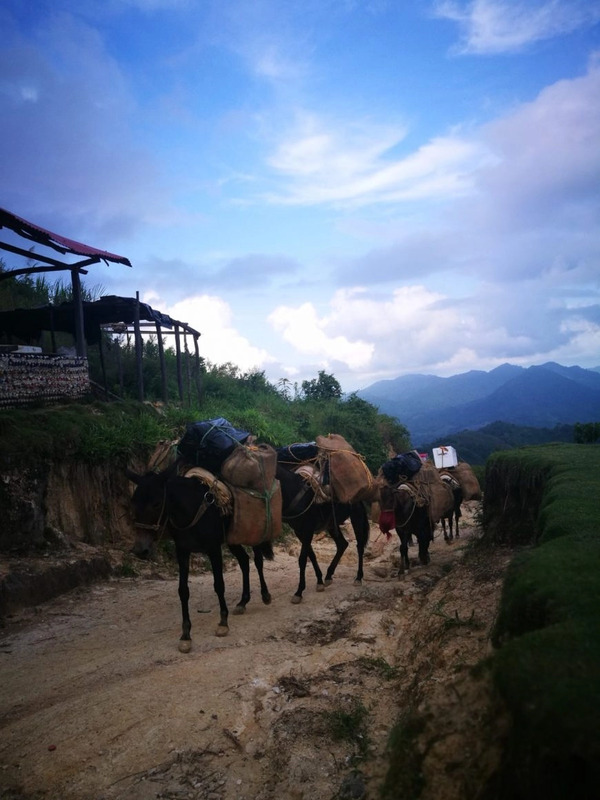 Along our travels we were met by a pace of mules every now and again carrying ours and other group’s food and supplies to the camps, it was fun trying to jump out of the way as these guys really stop for nothing! After a tiring but amazing day we made it to camp at Casa Alfredo for a slap up meal cooked by our tour chef Carlos and game of cards with everyone after dinner. A sweet first day (apart from the illness) making a lots of new friends including a feathery one at Casa Alfredo, by 8pm we were totally ready for bed and ready to tackle the epic day 2! The Donkey's transporting all the supplies! Our feathered friend at Casa Alfredo. 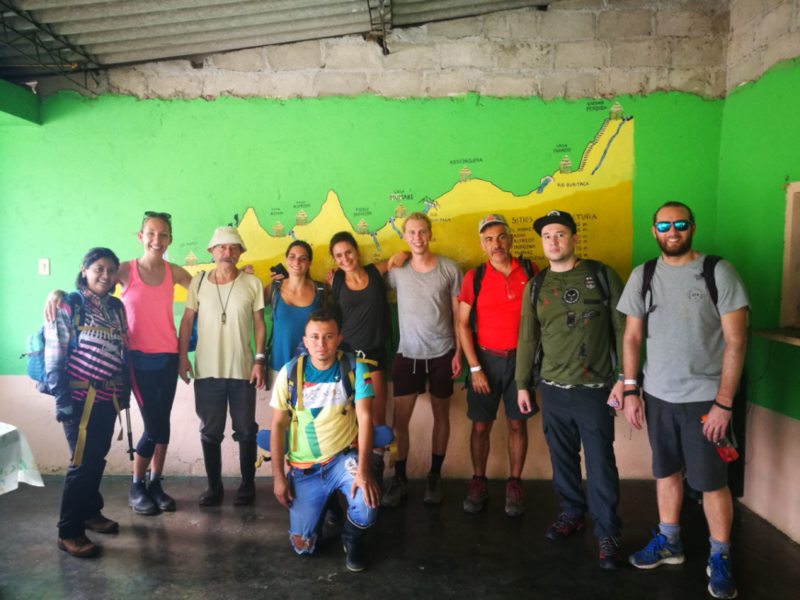 An early start at 6am, we were all up and filled with breakfast and headed out on the 14 km hike all the way to Casa Paraiso. We were so impressed at how well The Lost City Trek is set up, each camp has its own beds or hammocks, the latter we preferred and opted for on our last couple of nights. At each camp there are also full kitchen and dining areas to sit at night and even shower and toilet facilities, basic but they are there! All along the walk to the Lost City there are perfectly stationed stops, just when you think you need a little rest bite, viola! one pops up. Complete with fresh water, melon or pineapple cut up by your guide and the chance to buy a cold Coca Cola or energy drink if you fancy one, these guys really do cater for hikers! After crossing a few rivers and passing a couple of camps along the way with still beautiful scenery we sopped at Casa Mumake for lunch and a welcome swim in the river nearby. Although 14 km doesn’t seem that long the terrain, heat and humidity make for a much harder and timely hike than we initially thought. More epic scenery along the way! Crossing over Rio Buritaca on a bridge. The beautiful trees, flowers and plants along the way! 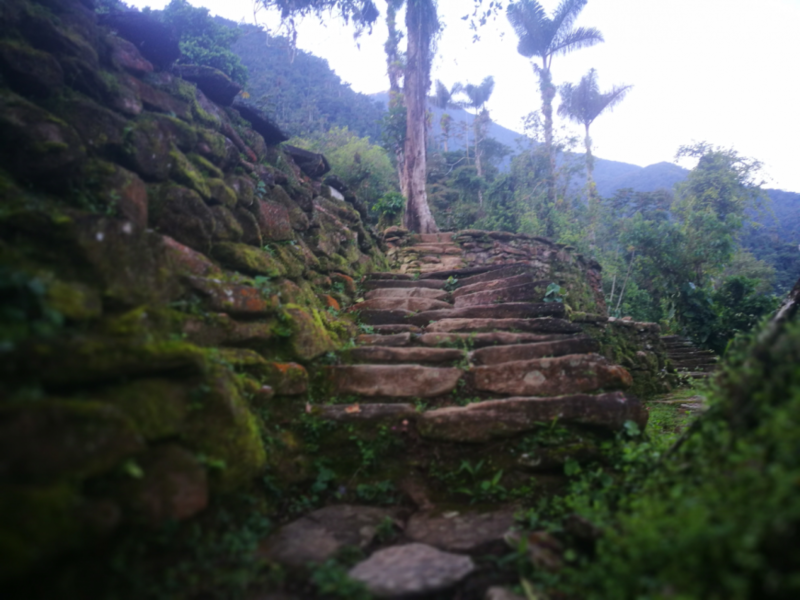 The Lost City trek also passes and runs through many Indigenous villages and small housing colonies along the way. You will most certainly will come into contact with the indigenous tribes there. Disbanded into different tribes after the Lost City was deserted hundreds of years ago the Yogi and Wiwa are just a couple that still live in the area. It is so interesting to see these people who are still living by ancient traditions, just as they were hundreds of years ago. 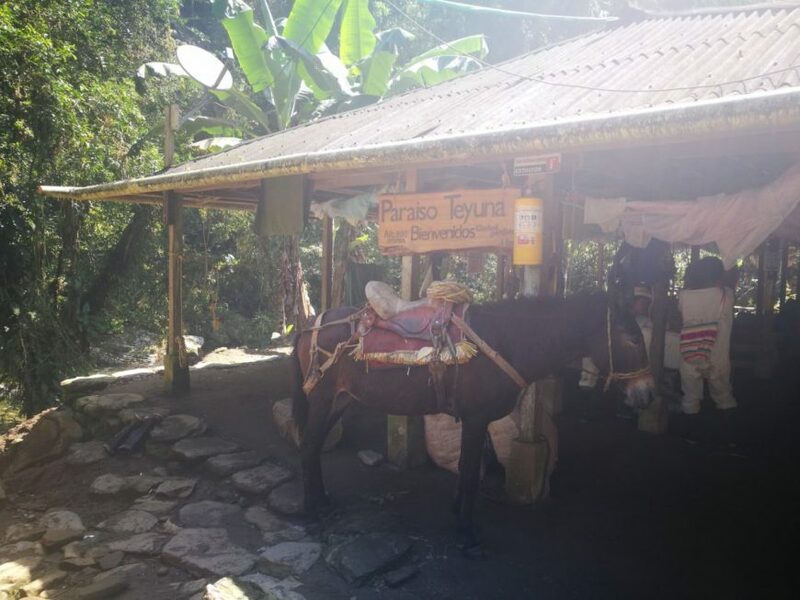 Later into the afternoon we arrived at the last stop before the Lost City and our camp for the night, Casa Paraiso! 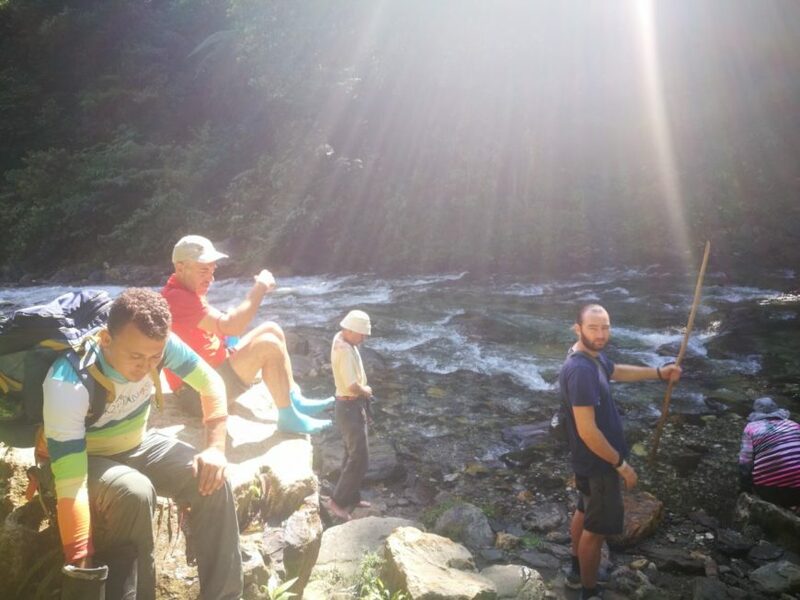 We took another dip in the river and sat watching the nearby waterfalls before sitting down to another great dinner cooked by Carlos with the added treat of popcorn this time round! 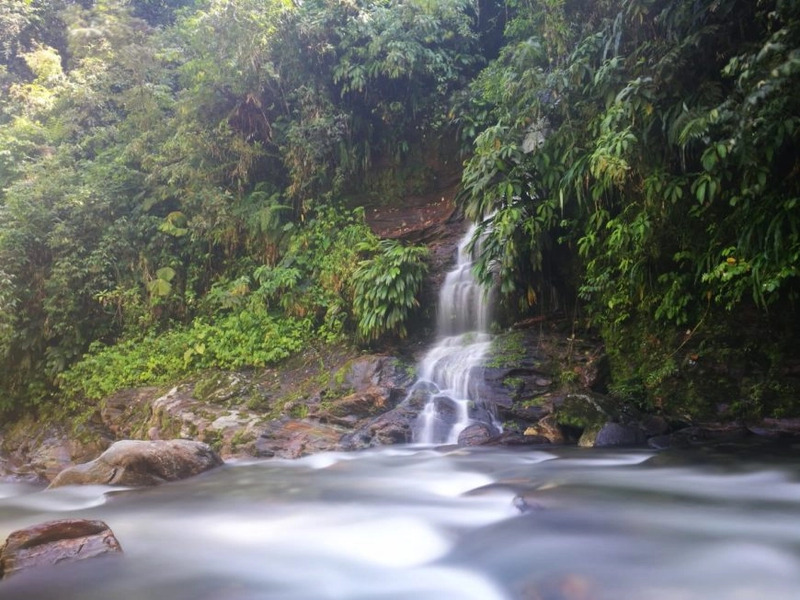 One of the Waterfalls near Casa Paraiso. We were up at 5.40 and ready for 6am to head straight to the 1200 steps leading up to the Lost City. So excited for what lied ahead we asked our guide whether we could go on with a few others while he followed behind making sure everyone was on the way. We crossed the river after a short while and waited patiently for our group to appear on the other side. After a few minutes we decided to go on at a slower pace, hoping they would catch up. Unfortunately (or more fortunately!!) we got to the steps shortly after and excitement took over, like giddy school kids we decided to run all the way up the 1200 steps to the top. We entered the Lost City as first ones there! Exploring the ruins early morning with no-one around was just incredible. Picturing how the Tairona used to live and seeing how big the place is we really imagined how the city used to a be a busy community living, thriving within their surroundings deep into the Sierra Nevada. Feeling like Indiana Jones we made our way around the lower levels of the city working our way up to the upper levels taking in the relic stones left behind by the citie’s people. The early morning eerie-ness and with no-one around gave us a real feeling of adventure and something so special, truly a travel moment we will always remember. 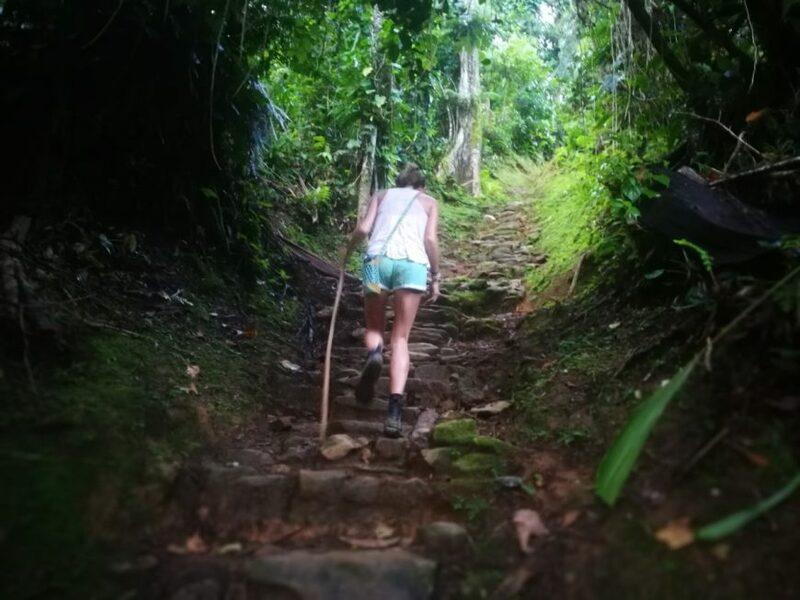 Walking up the 1200 steps up to the Lost City. Exploring the lower levels of the Lost City with the small stairs connecting each of the housing plaforms. Reaching the top of the Lost City! Our group photo at the top of the Lost City. Note if you do run on up there alone there is an army presence at the very top of the city which is due to its past but they are there for any people’s and the city’s protection and to make sure the place is kept free from looters. Just be friendly and say hi like we did! After marvelling at the city from the highest point, the rest of our group had caught up and joined us. 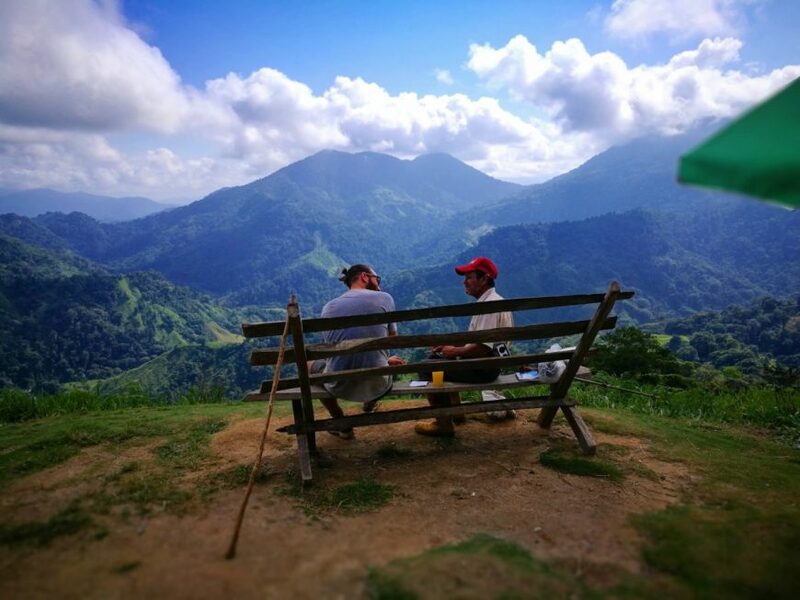 We had a talk from our guide Jose on the history of the Ciudad Perdida, learning about how the people used to live, work with gold and keep themselves as a fully functioning and prosperous community. 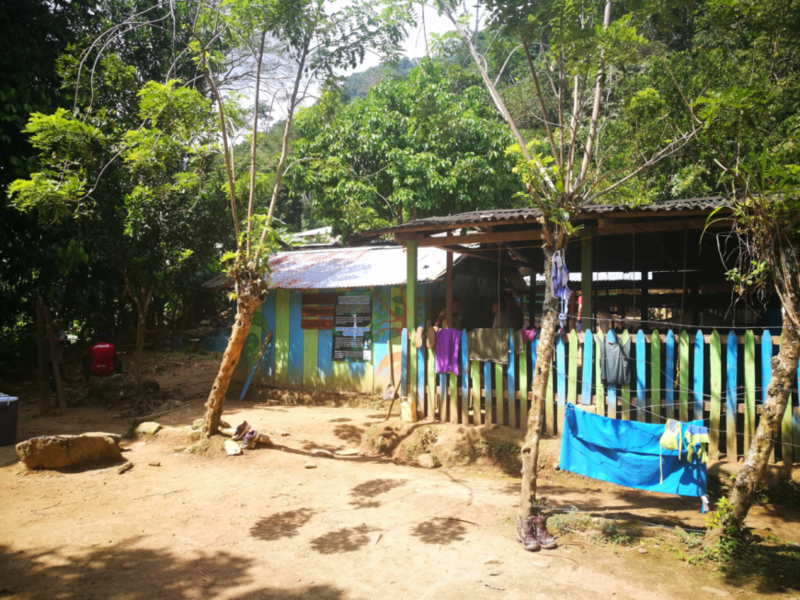 Jose then took us to a small community located on the grounds of the Lost City, a local shaman and his family still live on this site practising ancient traditions and keeping the spirit of the Tairona alive. We then exited the city through a scenic route making our way slowly down and back to the steps we had previously ran up. We spent a good few hours at the city taking it in. For us it was a truly magical and fascinating archeological, historical and spiritual experience. Beautiful lower levels of the Lost City, totally hidden. Back on the trail we headed back past Casa Paraiso collected our belongings and headed the same way back on our return journey! Staying back at Casa Mumake for our first night of the return journey a few of our group, including ourselves had been asking Jose a lot questions about the indigenous tribes along the way. 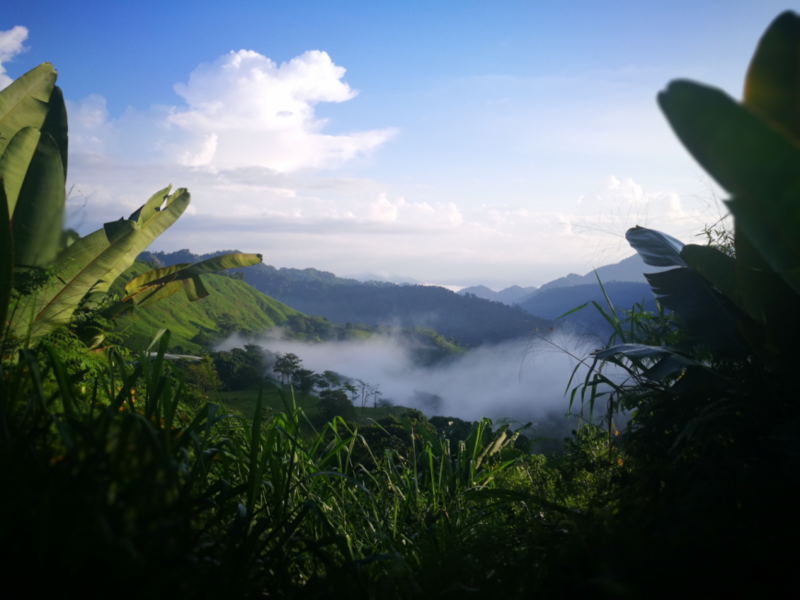 Jose was very knowledgable about the indigenous tribes and also very well connected as he had grown up in the area, he asked around and organised one of the Shamans from the Kogi tribe to come and speak to us after dinner that night. It was so interesting learning about how the indigenous tribes live and gain more of an understanding into their way of life and beliefs. As well as this the shaman explained how modern-day technology advances are helping them but also hindering them and slowly creeping in and changing their culture. It was a fascinating but also sobering moment, one when you really think about how tourism can have an negative effect and wonder if you are doing the right thing by exploring certain places. Having said that we believe the only way to protect in modern-day society is to educate and by experiencing new things whilst maintaining a level of respect for people’s traditions and cultures we really feel in the long-term this will help cultures like the Kogi and Wiwa to stay alive. Out of respect for the people whilst we were hiking in the area, we refrained from taking any photos of them or giving candy to any children, although tourists do we believe its best to just let people be. As we had opted for the 5 day instead of the 4 day we had a relaxed hike back to Casa Alfredo in the morning, if we had opted for the 4 day we would have headed back early morning to tackle the rest of the hike all the way back to Mamey but instead we had a nice breakfast and set off walking back really taking our time enjoying the peace tranquility and picturesque Sierra Nevada. For us this was a great way to experience things as there were a lot less people in our group who had gone for this option, meaning we pretty much had the trails to ourselves. 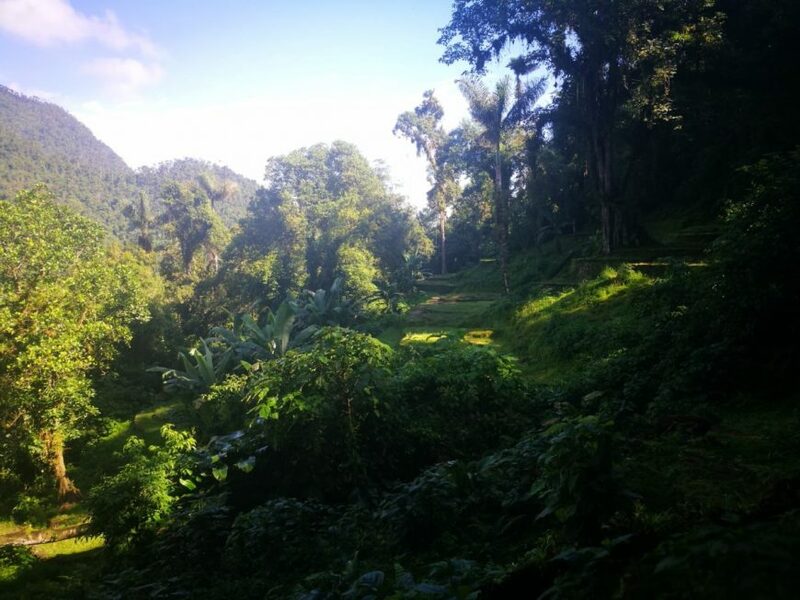 For our last day we only had the 7km walk back to Mamey. 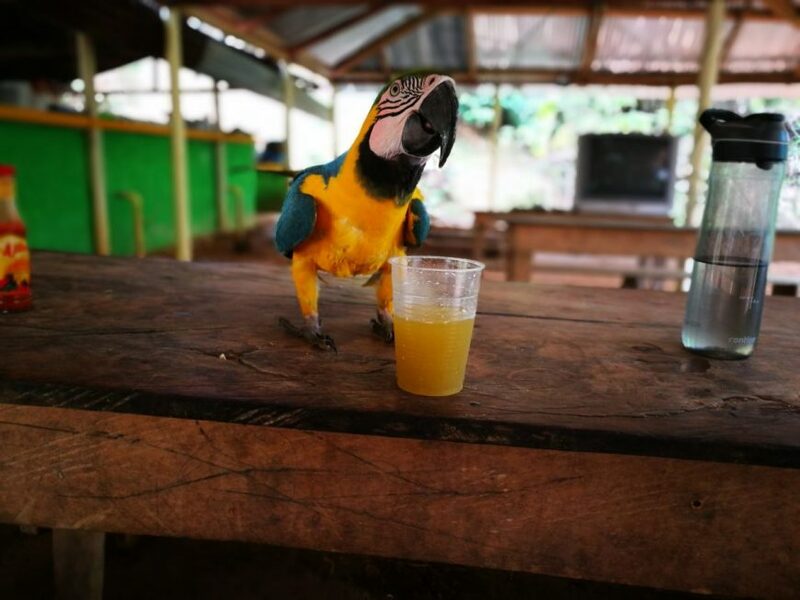 We were greeted on the way back by a local Cacao farmer, an old lady who was on the way to work and a man who had just set up his little stall selling freshly squeezed orange juice. 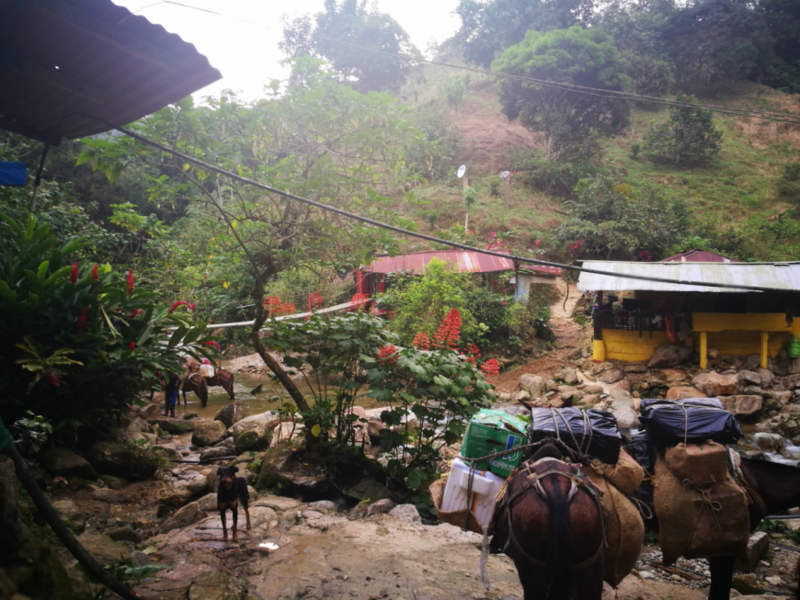 We all sat together and had a juice, bought some of the amazing hand-picked raw Cacao and spoke to the farmer for a while before setting off again to head back to Mamey. Giving ourselves more time meant that we could stop and speak with the locals on the way back, this just made the whole adventure even better for us! 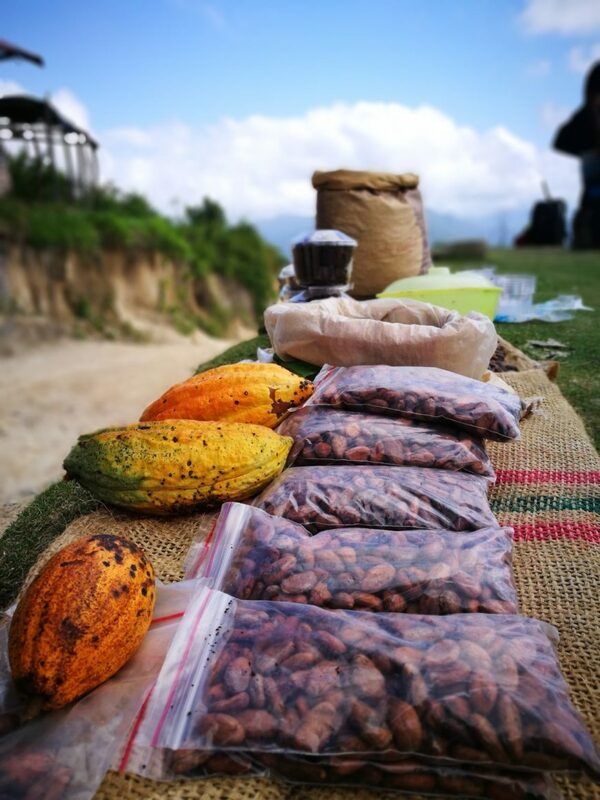 Cacao sellers stall on the return journey. Meeting the local Cacao farmer. Taking our time enjoying the hike on the way back. All together an unforgettable experience that we will never forget. Our group, the guide, the meals and the whole tour was second to none and we got so much more than we had expected. 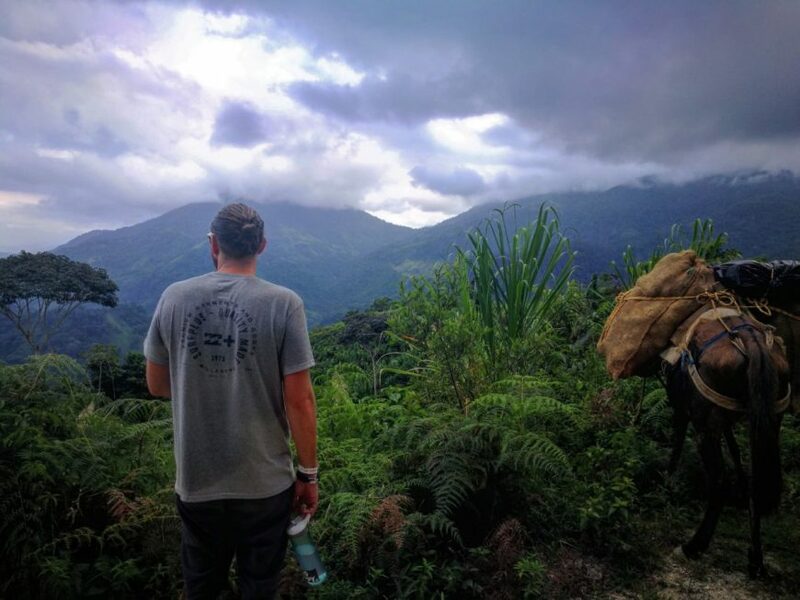 The treks integration with indigenous tribes adds to the magic of and you can see how the companies work with the communities there to keep the indigenous cultures alive and work harmoniously with them. Plenty of mosquito spray – As you can image there are a lot of Mosquitos in the Jungle in some places more than others so don’t forget this! As you will also be going through rivers pretty regularly on the Lost City trek so always worth reapplying once you have crossed them. High factor suncream 50+ – As you are out all day every day the sun can be relentless even when it is poking through the dense jungle. A high factor suncream is a must, you do stop for a couple of swims along the way so keeping yourself protected is high priority. A good pair of shoes – You will be trekking through mud, going through rivers, climbing up hills and steps not to mention the actual distance you will be walking as well so just make sure you have a relatively good pair of shoes. We did it in good running trainers that yes got battered but were definitely ok as they dried quick and were comfy. Walking shoes would be great (if you have them) wellies are not a great choice, as someone in our group had a pair on and got very painful blisters which did get the better of him by the end of the Lost City trek. 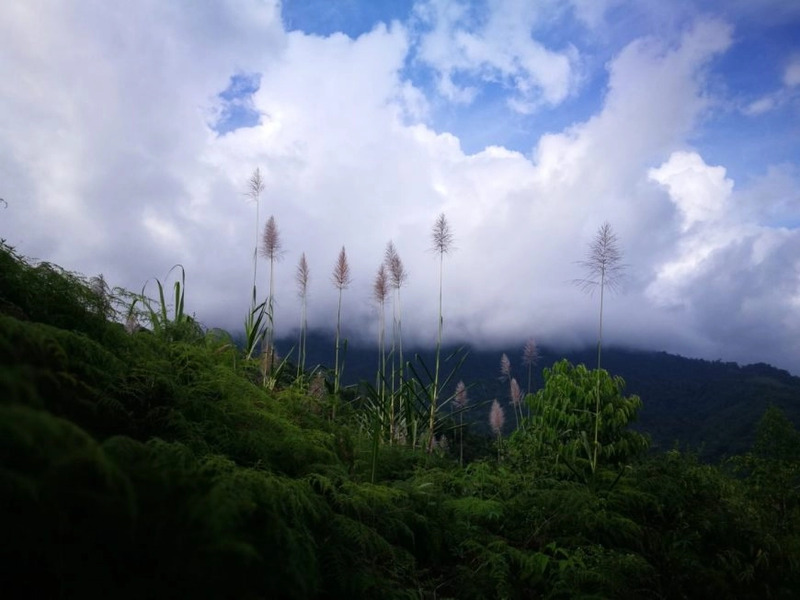 Clothes – Mainly shorts and t-shirts (you will only need a couple of each) then either some lightweight trousers as once you stop at the camps for dinner it is a nice welcome break putting some on and will keep those pesky mosquitos away. A lightweight sweater is also a good shout if the evenings get chilly. Basically your clothes will get filthy as soon as you put them on so for us having a celan change every day was pointless, there are places you can hang clothes to dry (or as much as they will in dense jungle) at night. Some good hiking socks – As mentioned before you will be going over all types of terrain with the potential of getting your feet very wet. We both invested in some Berghaus hiking socks before we left as we knew we would be doing some hiking. These turned out to be so invaluable. Quick drying, comfy and hard waring we used ours for multiple days whilst on the Lost City trek, so from us they come highly recommended! 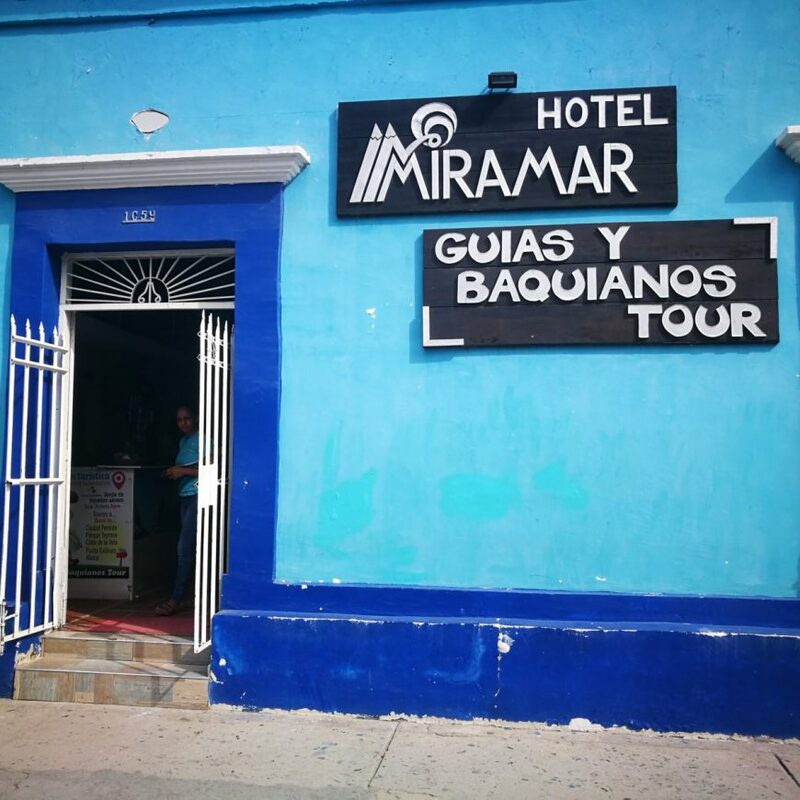 Swimwear – Take your bathing suit with you as you’ll be boiling hot and will want to get in for a dip, also a good idea for showering in as the cubicles are not the most private we have encountered! A lightweight sarong is also a good item to pack rather than a heavy towel. Camera – You will probably want to take some pictures of this epic adventure so your camera, phone or Go Pro could come in handy here! A water proof bag like the one we carry is always good for keeping all electrics dry and portable chargers are great for keeping them topped up! You can also check out our post ‘Top Travel Products – Tried And Tested After A Full Year Of Travelling’ for some great products that have been invaluable on all our travels! Top Tip! If you have the time and are in no rush we would highly recommend the 5 day instead of the 4 day as it is the same price and you still get your amazing three meals a day and also have time to chill, enjoy and digest the last few days on the way back. 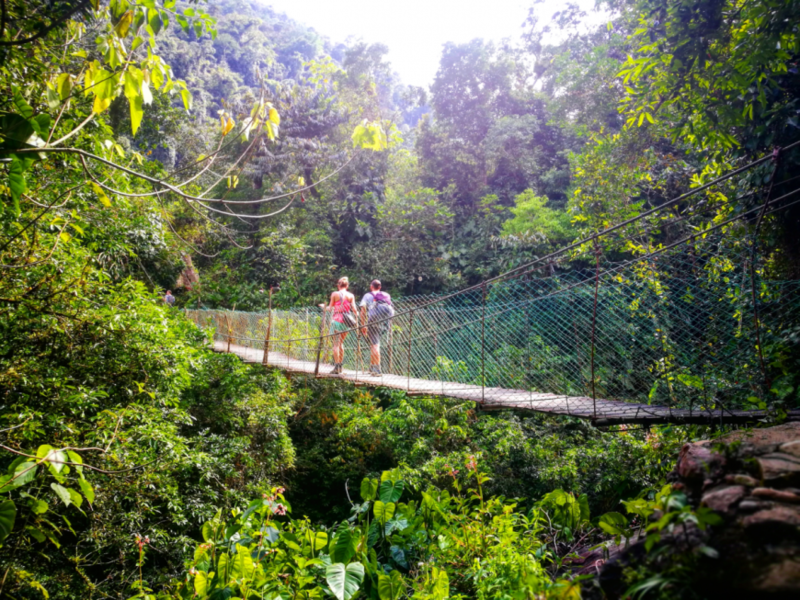 Thanks so much for reading we hope you’ve enjoyed it & we’ve given you some ideas if you are thinking of doing the Lost City Trek! If you have any questions or comments please add them below! 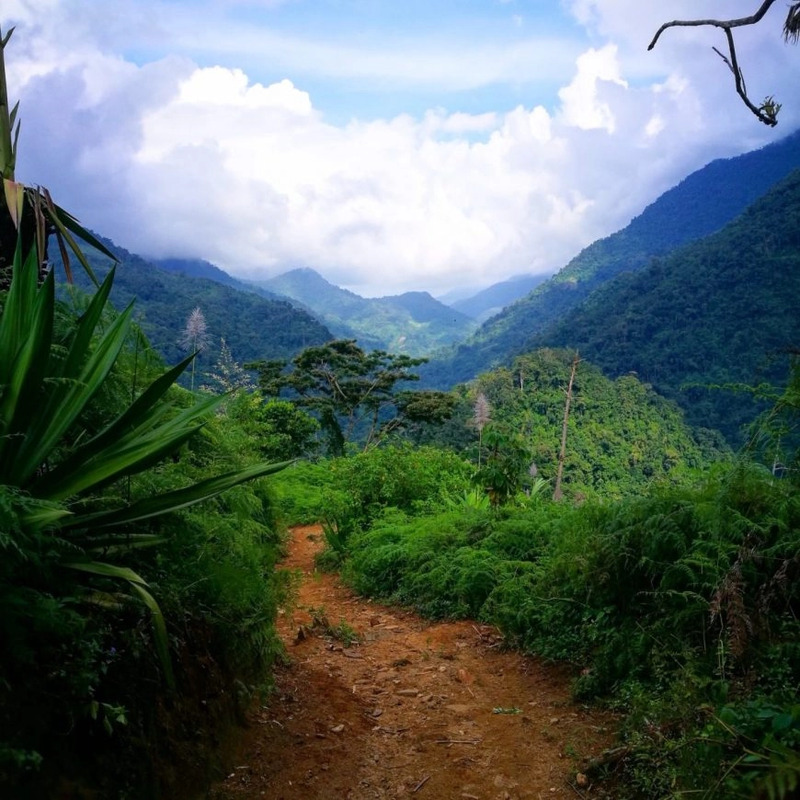 This entry was posted in Colombia, Hiking. Bookmark the permalink. Kelly and Adam, this looks absolutely incredible. Your photos are stunning! The scenery, the colors, and oh my gosh that adorable parrot! I felt like I was there! Definitely adding this to my list of must-do adventures. Hope you’re still having a blast on your travels… who am I kidding? Of course you are. 🙂 Stay safe & enjoy! !